Happy New Year! Yes, I realize it is a bit later in the month for a New Year celebration, but I am wishing all of you a wonderful year ahead! 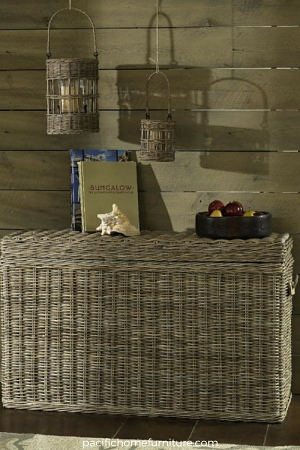 Thank you for visiting Pacific Home Furniture and reading our coastal blog! We hope this is just one way you can get some beach love in January! 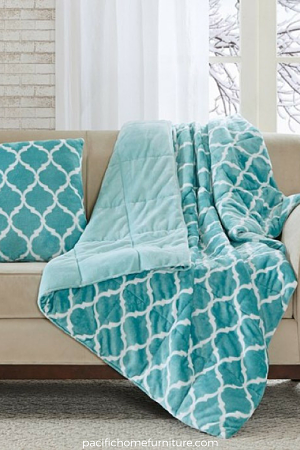 Our Five Favorites for A Coastal Home blog offers an easy way for you to incorporate simple pieces in your home and lifestyle. We hope you find some favorites! What a beauty of a bench! Details abound and it's not short on comfort. It would be oh so lovely placed in the entryway or 2 facing each other in the family room or living room. The fabric is natural linen. The wood is grey oak. Why not add a pillow or two or more on that bench! 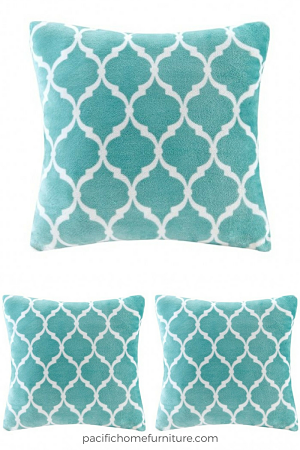 This pillow comes in 4 different color choices. Find your favorite color here. Of course, we all need storage and this trunk does double duty! 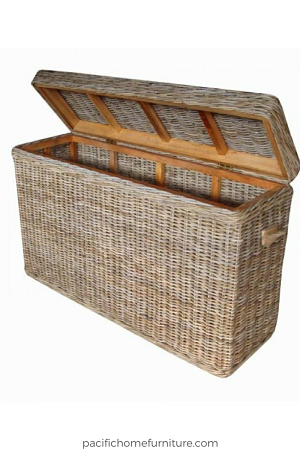 Such a great storage solution, or use in a bedroom, bath or kitchen nook to display you coastal favorites. 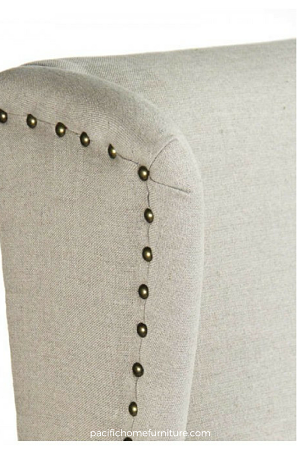 This trunk is so sturdy it can be used for seating! Find out more here! 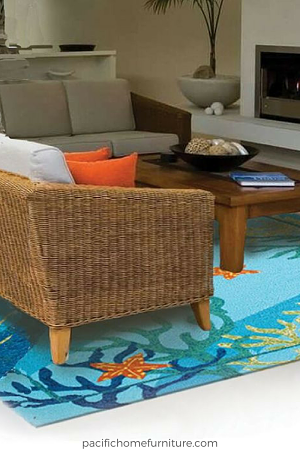 No room is complete without a rug. 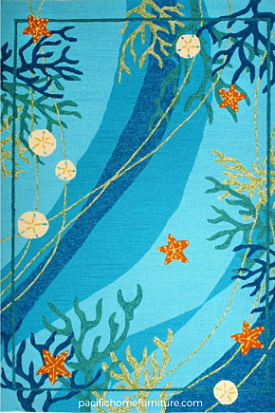 What a fabulous coastal feel this rug brings to any room. 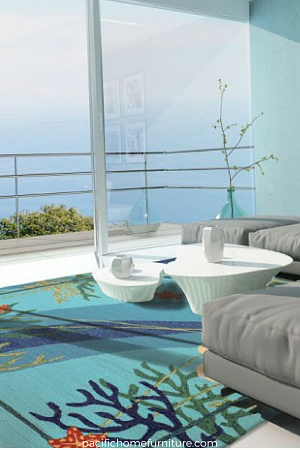 Modern or traditonal style this rug serves it all. Can even be used outdoors on the patio or porch! Brand new at Pacific Home Furniture. 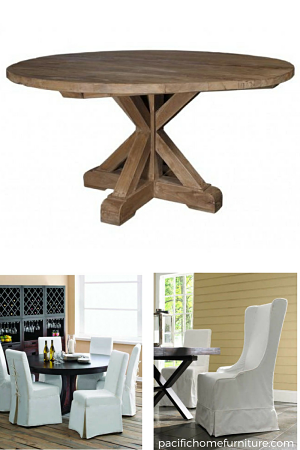 Our Reclaimed Teak Wood Dining Table! Teak wood is a strong wood and has a natural resistant to the weather. 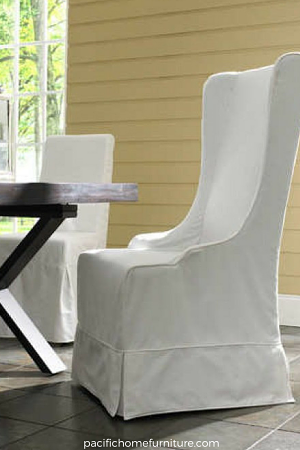 The dark wood of the table is a complimentary contrast with our sun bleached white canvas wing back chairs. This teak wood table is also another great product we offer for use indoors or out. We appreciate you taking the time to read our Coastal Blog! Reach us with your thoughts or comments at the bottom of this blog post or at contactus@pacifichomefurniture.com. We always look forward to hearing from you! Find out what we are pinning on Pinterest. We would love to have you join us! 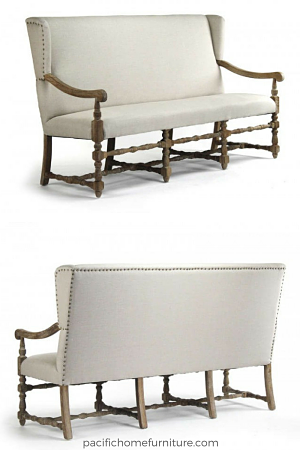 DISCLAIMER: All the beautiful images with this blog may not belong to Pacific Home Furniture. We do not claim those images unless you see our logo.